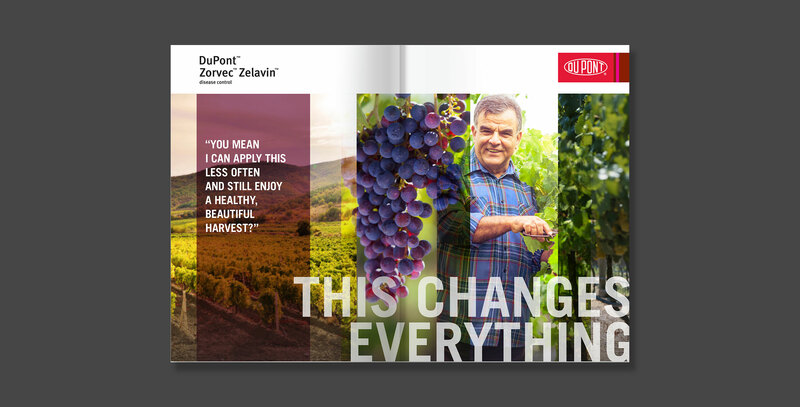 We handled the U.S. portion of DuPont Crop Protection for several years, as well as provided marketing materials for our partners at Ogilvy in New York for several new global crop protection product introductions, including DuPont™ Zorvec™ disease control and DuPont™ Pyraxalt™ insect control. 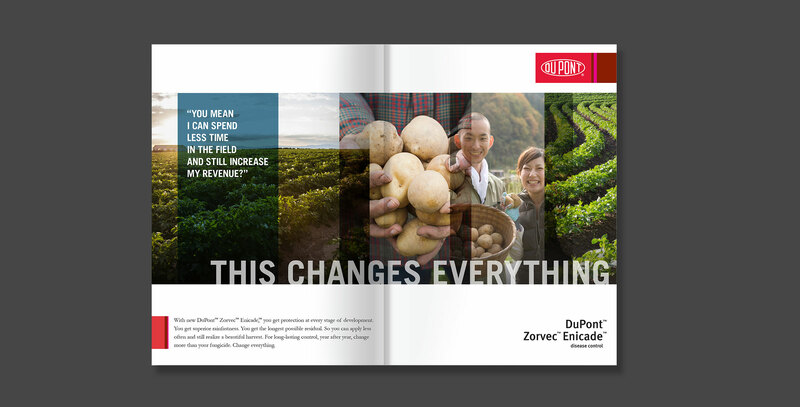 The introduction of Zorvec™, a highly anticipated fungicide, was DuPont Crop Protection's first truly global product launch. 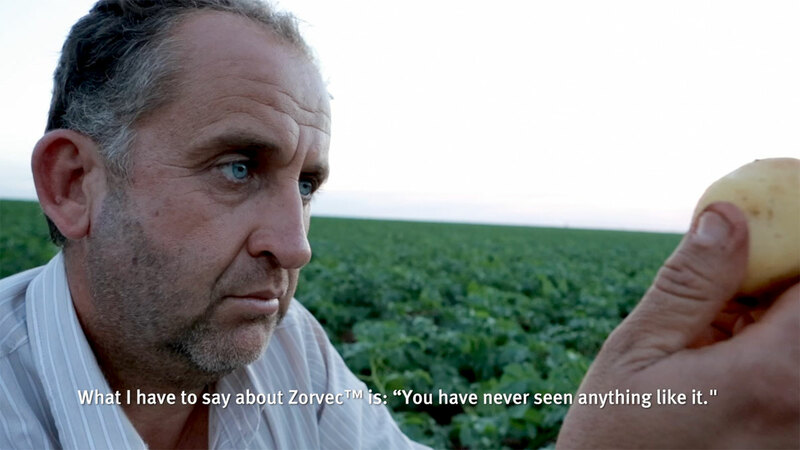 Our creative work, supporting Ogilvy's strategy, led the way in the Asia-Pacific region and included print video, digital, POP, and a host of other executions. 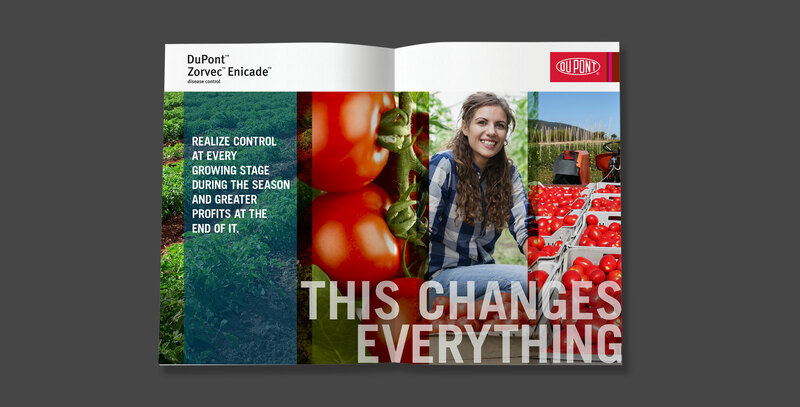 Our unique ability to target growers through data-driven strategies informed our work promoting DuPont Crop Protection's fruit, grain and vegetable categories.